Today’s blog comes from Dr Gemma Stacey at the University of Nottingham and looks at an alternative model of clinical supervision. In my practice as a community mental health nurse and nurse educator, I was consistently reminded of the emotional implications of the nursing role. I provided and received clinical supervision regularly and was continuously struck by the frequent focus on personal, relational and organisational challenges and the impact this had on the nurses wellbeing. This contradicted the training I had received around the purpose of clinical supervision which prioritised practice development and monitoring of standards. Whilst the supportive function of clinical supervision was acknowledged, the value of this was rarely highlighted. This motivated me, and others who shared this observation, to consider an alternative model of supervision which had an explicit focus on exploring the experience and consequences of the emotional implications of nursing practice. 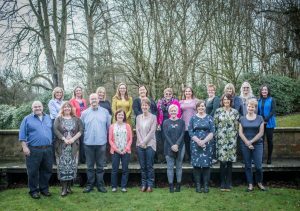 In a project funded by the Burdett Trust for Nursing we worked with the Compassionate Mind Foundation and practice educators across the East Midlands to develop an alternative clinical supervision model. We named the model “Resilience Based Clinical Supervision” to emphasise the priority we were placing on supporting the nurse to develop, maintain or apply strategies that enhanced self-care. RBCS is underpinned by the principles of compassion-focused therapy (Gilbert, 2010), which maintains behaviours are motivated by three emotional regulatory systems. These systems are guided by a desire to: protect the self from threat; to compete with the self or others for external validation and success; and to soothe the self to enable contentment and self-acceptance. While each of these systems is effective in some circumstances, the ability to recognise and make choices about the most beneficial mode of response is a key aspect of RBCS. This is complemented by the integration of mindfulness, positive reframing and role-play focused on enacting a preferred outcome. The model has been piloted extensively with groups who were identified as vulnerable to attrition or sickness linked to work related stress. This included newly qualified nurses and nurses returning from periods of sickness. Evaluation of the pilot studies has shown consistent improvement in professional quality of life which is linked to preventing compassion fatigue and consequent burnout. Additionally, the supportive function of clinical supervision was clearly demonstrated as an outcome of RBCS. Participants described the development of skills for self-care, emotional intelligence and confidence to challenge working conditions, which were negatively affecting thier wellbeing. In organisations, which supported the premise of RBCS and provided clear pathways to address workplace adversity, this challenge was received positively and change to working culture was achieved. Alternatively please do contact me directly to chat about what we have learnt so far in our attempts to draw attention to the psychological wellbeing of nurses the RBCS.